A federal judge has ruled that communities have a right to know what chemicals are released by industrial accidents in their midst, according to the opinion issued in a lawsuit filed by Public Employees for Environmental Responsibility (PEER) and community groups. The Clean Air Act requires the U.S. Chemical Safety and Hazard Investigation Board (CSB), charged with investigating chemical fires, explosions, leaks, and other accidents, to determine and disclose what air pollutants are accidentally emitted by any industry within the Board’s jurisdiction. Despite a 1990 statutory mandate that the CSB “establish by regulation requirements binding on persons for reporting accidental releases into the ambient air,” the CSB has neglected to adopt any such rule. Yesterday, Judge Amit Mehta of the U.S. District Court for the District of Columbia, found this nearly 30-year dereliction to constitute “unreasonable delay” and ordered the CSB to promulgate a final accidental chemical release reporting regulation within 12 months. More than 1,000 industrial chemical accidents occur each year. Many release noxious fumes into their surrounding environs. Joining PEER in the suit were community and public health organizations, including the Houston Air Alliance, the Louisiana Bucket Brigade, and United Support and Memorial for Workplace Fatalities. The suit was filed in 2017 shortly after the Arkema chemical plant in Houston experienced chemical fires and explosions amid flooding from Hurricane Harvey. First responders to the stricken plant claimed that no one was aware of the dangerous properties of chemicals released. As a result, first responders and residents experienced adverse reactions and were rushed to nearby hospitals. In 2009, CSB took a tentative step to adopt such a requirement, placing an Advanced Notice of Proposed Rulemaking in the Federal Register. The notice – approved unanimously by the four CSB board members at the time, all appointed by President George W. Bush – declared “the CSB recognizes that a reporting regulation is clearly required by the statute.” At that time, CSB argued that a reporting requirement would also improve its ability to target its resources, launch timely investigations and preserve key evidence, and track patterns in chemical incidents to better prevent future accidents. Today’s CSB consisting entirely of Obama appointees argued that the rule was not necessary and that it tracks these events mainly through media accounts. Annual hazardous waste training is required for anyone who generates, accumulates, stores, transports, or treats hazardous waste. Learn how to manage your hazardous waste in accordance with the latest state and federal regulations. Learn how to complete EPA’s new electronic hazardous waste manifest, and the more than 60 changes in EPA’s new Hazardous Waste Generator Improvements Rule. Environmental Resource Center’s Hazardous Waste Training is available at nationwide locations, and via live webcasts. 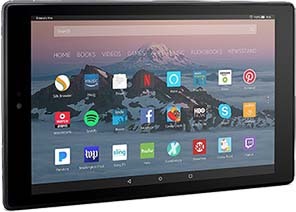 If you plan to also attend DOT hazardous materials training, call 800-537-2372 to find out how can get your course materials on a new Amazon Fire HD 10 tablet at no extra charge. The Oregon Department of Environmental Quality fined Safety-Kleen Systems Inc. $260,900 and ordered the company to correct environmental violations at its hazardous waste storage facility in Clackamas, Oregon. Safety-Kleen collects and processes used oil, cleaning solvents and industrial waste. Improperly storing hazardous waste in a way that could result in reactive substances mixing together. Accepting hazardous waste and asbestos without the required documentation intended to prevent improper storage and disposal. Storing asbestos-containing waste material without a required solid waste permit from DEQ. Failing to properly identify and label hazardous waste. Failing to provide adequate hazard liability insurance for its facility. After DEQ identified the violations, Safety-Kleen properly labeled its hazardous waste, submitted a waste management plan to accept asbestos and applied for the required solid waste permit. DEQ also ordered Safety-Kleen to obtain the required hazard liability insurance and monitor the hazardous waste tank system for vapor emissions. Safety-Kleen has until Feb. 18 to appeal the violations. The rules in OAC Chapter 3745-113 are intended to assist Ohio in attaining and maintaining the national ambient air quality standard (NAAQS) for ozone by limiting the emissions of volatile organic compounds (VOC) in architectural and industrial maintenance (AIM) coatings. VOCs are a precursor compound that leads to the formation of ozone. Depending on the coating use, the new limits range from 0.83 to 6.50 pounds of VOC per gallon of coating. The Ohio EPA Director's order of adoption was issued on February 6, 2019, and the amended rules will become effective on February 16, 2019. The Director's action in this matter is pursuant to the procedural requirements of Ohio Revised Code Chapter 119 and is based upon the record of the public hearings conducted by Ohio EPA on November 13, 2018 and December 10, 2018, as well as comments received during the public comment period. For additional information, contact Paul Braun, Ohio EPA, Division of Air Pollution Control, Lazarus Government Center, PO Box 1049, Columbus, Ohio 43216-1049 or call Paul Braun at 614-644-3734. Auto parts retailer Golden State Supply LLC has agreed to pay $24,461 for violating a state regulation meant to reduce emissions of a powerful climate-changing gas found in do-it-yourself containers of automotive refrigerant. The global warming potential from just one 12-ounce can of automotive refrigerant, which is used to recharge motor vehicle air conditioners, is equivalent to the carbon dioxide emissions from burning 150 gallons of gasoline. That’s roughly how much gas would be used to drive from San Francisco to New York and back as far as Colorado. The regulation was developed in 2009 requiring self-sealing cans and a deposit and recycling program for used cans. The Roanoke, Virginia-based company, also known as Carquest, is a subsidiary of Advanced Auto Parts, one of the largest auto parts chains in the country. CARB and Golden State Supply entered into a mutual settlement agreement in January. Golden State Supply self-disclosed to CARB that it sold cans of automotive refrigerant in California that were not certified by CARB between 2014 and 2016 and failed, as required, to report the sales to CARB. Recordkeeping is crucial for preventing uncertified cans from entering the marketplace and also for determining how many used cans have been recycled each year. The $24,461 penalty — marking the first settlement for this regulatory program — will be paid to the California Air Pollution Control Fund for projects and research to improve air quality. Golden State self-reported its violations and promptly and fully cooperated with CARB throughout its investigation. CARB’s regulation, in effect since Jan. 1, 2010, applies to the sale, use and disposal of small containers of automotive refrigerant (those holding more than 2 ounces and less than 2 pounds of refrigerant by weight). Manufacturers, retailers and distributors of small cans of automotive refrigerant in California must submit annual report data to CARB by March 1 of each year. An Elizabeth, New Jersey, biodiesel fuel company was sentenced for discharging more than 45,000 gallons of wastewater from its commercial biodiesel fuel production facility into the Arthur Kill, a waterway separating New Jersey from Staten Island, New York, announced the Department of Justice and the EPA. The company had pleaded guilty in June 2018 to one count of violating the Clean Water Act. Fuel Bio One LLC was sentenced by U.S. District Judge William J. Martini to pay a criminal fine of $100,000. The company was also sentenced to probation for a period of five years, during which the company must provide biannual reports to the court and the government documenting its waste generation, handling, and disposal practices; develop, implement, and fund an employee training program to ensure that all employees are aware of proper waste handling and disposal practices and to ensure that all storage, treatment, and disposal of wastewater complies with the Clean Water Act; and allow the EPA full access to all offices, warehouses, and facilities owned or operated by the company. According to court documents filed in this case and statements made in court, Fuel Bio One generated wastewater that included methanol, biodiesel, and other contaminants as a byproduct of biodiesel fuel production at its Elizabeth, New Jersey, plant. On Sept. 6, 2013, and Nov. 9, 2013, employees of Fuel Bio One released approximately 45,000 gallons of wastewater into a storm water pit at the Elizabeth plant, causing the pump to operate and, as a result, wastewater to be discharged into the Arthur Kill. A representative of Fuel Bio One admitted to this conduct in court. The Pennsylvania Department of Environmental Protection (DEP) has suspended all reviews of clean water permit applications and other pending approvals associated for Energy Transfer (ET) and subsidiaries until further notice due to non-compliance. DEP issued the order to ETC Northeast Pipeline, LLC (ETC) in October 2018, with instructions that the operator stabilize disturbed areas and prevent further erosion from the construction area. Multiple inspections by DEP staff, most recently in January 2019, found that ET had not fulfilled the terms of the order and was not progressing toward compliance. DEP issued the October order after inspections discovered violations including unreported landslides, impacts to aquatic resources, construction activities occurring in unpermitted areas, and several sections of the pipeline that required the installation of additional measures to prevent accelerated erosion. The permit hold will affect an in-service date for the Energy Transfer operated Revolution pipeline, which is not in service, and the Sunoco Pipeline LP (SPLP) Mariner East 2 pipeline, and all other clean water permit applications and approvals. Energy Transfer is the parent company of ETC and SPLP. Mariner East 2 is in service, however there are additional approvals needed for additional pipeline infrastructure as part of the project. There are 27 approvals currently under review by DEP for Mariner East 2. The permit hold will not apply to any approvals needed for ET to comply with the order, and mitigation and environmental restoration work along Mariner East 2. “DEP is standing by to approve any work needed to repair the damage caused by ET’s activities and bring the operator back into compliance,” said McDonnell. DEP may also take additional enforcement action in the future to address these ongoing violations. A copy of the letter issued to Sunoco can be found here: http://files.dep.state.pa.us/Newsroom/NewsroomPortalFiles/img02082019_0002.pdf. The Pennsylvania Department of Environmental Protection has ordered Erie Coke Corporation (Erie Coke) to address ongoing violations of the Pennsylvania Air Pollution Control Act at Erie Coke’s coke production facility in the City of Erie. “This action requires Erie Coke Corporation to re-evaluate its methods of operation and plan equipment to ensure that the facility is operated in full accordance with its permit and the applicable rules and regulations for the protection of our citizens. DEP is committed to enforcing the commonwealth’s conditions of the permits we issue and protecting Pennsylvania’s air,” said DEP Secretary Patrick McDonnell. Failing to conduct annual stack testing of the Coke Side Shed Baghouse. Many of the violations are similar those addressed by a 2010 consent decree between the DEP and Erie Coke. The consent decree terminated in 2015 after Erie Coke upgraded the facility and paid $4 million in penalties. DEP has not detected exceedances of ambient air quality standards at its monitors in the area, but continues to investigate the effects of Erie Coke’s violations. DEP’s order requires Erie Coke to complete stack testing of the Coke Side Shed Baghouse within 30 days after the DEP approves a stack testing protocol, immediately notify the DEP if the hydrogen sulfide absorber is taken out of service, and within 60 days, submit a plan and schedule to correct the violations. Erie Coke has applied to renew its Title V operating permit for the facility and that application is under review by DEP. Many of the violations noted in the Order were documented as part of the DEP’s compliance review for the renewal of the Title V operating permit. 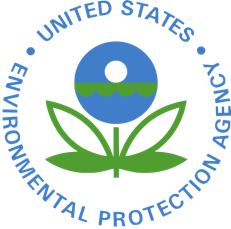 In FY 2018, the EPA worked in collaboration with state and tribal programs to assure compliance with federal environmental laws. In doing so, EPA focused its enforcement and compliance resources in areas that will have a major environmental or human health impact, support the integrity of our environmental regulatory programs, create a deterrent effect, or promote cleanups. Commitments to treat, minimize, or properly dispose of over an estimated 540 million pounds of waste. Commitments to reduce, treat, or eliminate 268 million pounds of pollution (air, toxics, and water). Commitments to clean up over 244 million cubic yards of contaminated soil and water. Prevention of the illegal importation of approximately 2,200 vehicles and engines that fail to comply with EPA emissions standards. Reduction of exposure to lead through 140 enforcement actions impacting lead paint against renovation contractors, landlords, property managers, realtors, and others. Investment of nearly $4 billion in actions and equipment that achieve compliance with the law and control pollution. Cleanups and redevelopment at over 150 sites through use of Superfund enforcement tools. A total of 73 years of incarceration for individual criminal defendants. EPA’s Enforcement and Compliance program also established National Compliance Initiatives (NCIs). EPA’s NCIs focus federal enforcement and compliance resources on the objectives of EPA’s Strategic Plan. In addition to the NCIs, EPA has made reduction of children’s exposure to lead a priority. EPA’s lead paint enforcement activities in FY 2018 are summarized here. The EPA also negotiated over 30 enforcement actions at sites with lead contamination. More information on the Agency’s enforcement activities related to lead. After repeatedly finding improper management of dangerous wastes at an aircraft parts manufacturer, the Washington Department of Ecology has fined the company $17,000. Fatigue Technology (FTI), located at 401 Andover Park East in Tukwila, supplies components and services for aircraft and other industries. Its wastes include corrosive acids, ignitable solvents that can release harmful vapors or cause fires if not properly managed, and paint-related material containing heavy metals that would be toxic to people and animals if released. Ecology issued the fine after observing ongoing violations during seven inspections since 2003. The company has addressed these violations after each inspection, yet inspectors continue to observe repeat violations. Provide records documenting that it had conducted waste designation, a process to determine whether wastes require management under the dangerous waste regulations. Produce a written training plan and training records demonstrating employees are prepared to safely and correctly handle dangerous wastes as well as respond effectively to emergencies. Label and date dangerous wastes so employees and contractors know which containers need special handling and storage, to help ensure that the wastes are shipped within required time limits for proper management, and to provide safety information needed by first responders. Washington’s dangerous waste regulations set standards to protect the public, workers and the environment from releases of harmful waste materials at commercial and industrial facilities. Ecology inspects workplaces that generate dangerous wastes to ensure compliance with requirements such as safe handling and storage to prevent leaks, spills and fires. Ecology penalties may be appealed within 30 days to the Washington State Pollution Control Hearings Board.